Since there is left few days [weeks/months] till Pie's release on Nokia 6. So I'll try to put together here all information about upcoming release. 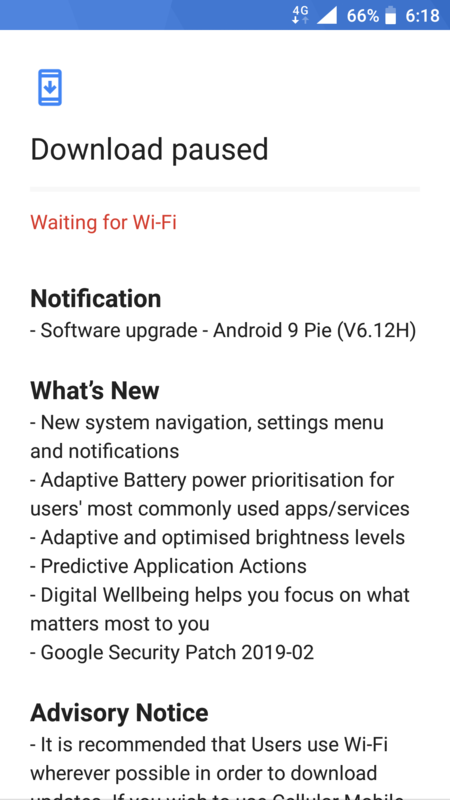 In January 24th there was announce that Nokia 5 (2017) has just been updated to Android 9 Pie! There we can get info how fast HMD Global is implementing Android 9 compare to another smartphone manufacturers. So we are on the half way of Pie's serving deadline. <blockquote class="twitter-tweet"><p lang="en" dir="ltr">Team is working hard to get it out next week. We are actually planning on having quite a lot of 🍰 before MWC but here&#39;s where you need to remember that we won&#39;t release if the quality is not there. Rest assured that we are on it and almost done</p>&mdash; Juho Sarvikas (@sarvikas) <a href="
With this tweet of Juho Sarvikas we can close this topic. Now we should compile all new bugs of Pie and ask guys from HMD Global to fix these. Gestures - biggest feature of Pie in missing on my Nokia 6 TA 1021 which received Pie today.